Well this is exciting news. 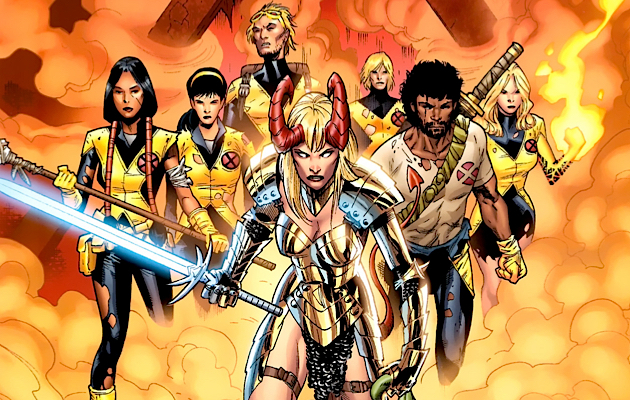 In a recent interview with Entertainment Weekly, director Josh Boone revealed that the upcoming The New Mutants movie will bring horror to the X-Men universe. You may best know Boone as the director of the wildly successful teen drama The Fault in Our Stars. But if that doesn’t fill you with confidence that he can successfully make a scary comic book film, rest assured, Boone has been a die-hard fan of comics and living fear machine Stephen King since he was a child. He’s absolutely thrilled to be taking on this project. The New Mutants was created by Chris Claremont in the early 80s. The series follows a group of young mutants/heroes-in-training who are struggling through adolescence while trying to learn how to control their powers. We’ve seen a bit of a departure in 20th Century Fox’s recent Marvel Universe contributions with heavy-hitter Logan and ultraviolent, hyper-frisky Deadpool, but this is definitely a new direction for the franchise. And it’s good news for us horror fans! The New Mutants will star Maisie Williams (Arya Stark from Game of Thrones) as Wolfsbane (with the power to transform into a wolf. How appropriate). Up-and-coming genre darling Anya Taylor-Joy (Split, The Witch) will also star as Magik (sister of Deadpool‘s Colossus). Currently scheduled for release in spring 2018, The New Mutants is aiming for a PG-13 rating. We’ll have to wait until the first trailers to see how much horror they can get in there. Craving more X-Men related news? Check out this Wacky Fan Video that Suggests Dream Warriors and X-Men Are the Same Movie. Previous articleThese Amazingly Detailed Horror Movie Cakes are Ghoulishly Gorgeous!